Francis Galton or Auguste Bravais and the Error Theorists? Sir Francis Galton is commonly regarded as the founder of the statistical techniques of correlation and linear regression (e.g., see Millar, 1996). And although he is best known for his development of correlation, most of his work on inheritance led to the development of regression, from which correlation was a somewhat ingenious deduction. The actual mathematical development of correlation played a much more prominent role in the work of Karl Pearson (Stigler, 1986). The primary goal of this paper is to trace any pre-Galton statistical conceptions of correlation and regression theory, and consider whether these might have contributed significantly to either Galton's discovery or to today's conception. A secondary goal is to provide a rationale for the conclusion of the first. That is, if correlation and regression have been in work prior to Galton, why is he regarded as founder? Furthermore, it will be of interest to distinguish between the main elements present in work done before Galton, and the elements present in Galton's own discoveries. I will aim to evaluate the unique contribution of Galton to the statistical theory of correlation and regression, given that, as will be seen, the mathematical "roots" of the techniques existed quite some time before him. The paper is divided into three parts. Part one overviews the development of the method of least squares, credited widely, although not unanimously, to Adrien Marie Legendre (1752-1833). The importance of this development in relation to later regression cannot be overstated. As Pearson (1920) has claimed, to understand the origin of the correlational calculus, we must begin with least squares. It was this exact method that gave regression the mathematical tool necessary for teasing out a "best" value given numerous observations. The issue then becomes one of determining why regression is traced to Galton and not Legendre. Stigler (1986) so aptly observes the "puzzle" that is apparent: Elementary statistics texts tell us that the method of least squares was first discovered about 1805. . . . We also read that Sir Francis Galton discovered regression about 1885, in studies of heredity. Already we have a puzzle -- a modern course in regression analysis is concerned almost entirely with the method of least squares and its variations. How could the core of such a course date from both 1805 and 1885? Is there more than one way a sum of squared deviations can be made small? (p. 2) Hence, the first part of the paper will serve both as an overview of Legendre's method, and will serve as a preliminary to addressing the issue of why the beginnings of regression are dated to Galton and not Legendre. As a precursor to discussing Legendre's invention, a brief overview of the concept of "error" will also be of value. The second part of the paper will focus on early conceptions of correlation, not the correlation observed empirically by Galton, but the mathematical correlation developed by error theorists some 40 to 50 years before Galton. As will be seen, the name of Auguste Bravais is often associated with the foundation of correlation theory. I will attempt to answer whether this claim has merit, and if so, whether it contributed at all to the correlation later developed by Galton. The third part of the paper will comprise of a brief overview of Galton's discovery of regression, through his study of heredity. The details of his discovery have been well-documented elsewhere (e.g., see Fancher, 1989; Stigler 1986; Walker, 1929) and so only a brief overview will be provided, sufficient enough to provide the "basics" for relating Galton's correlation to the theoretical correlation developed previously by the error theorists. Such a set of equations would be relatively easy to deal with if there were an equal number of unknowns. For instance, if w, x, y, z were the variables of a four-equation problem, then linear methods such as "Cramer's Rule" or "Gaussian Elimination" (Anton & Rorres, 2000) could be used to solve for w, x, y and z respectively. The problem facing eighteenth-century astronomers lay in solving for "n" unknowns given "n + N" equations. As of the eighteenth century, there was no ideal solution. In terms of understanding the problem in relation to astronomical investigations, it can be described as summing many measurements of a given phenomenon (e.g., the shape of the earth), taken under various conditions (e.g., similar, yet not identical instrumentation), and desiring this set to represent the "best" numerical value of the aggregate of these observations. As mentioned, taking the mean of the observations was common by the eighteenth century, but it did not provide a systematic method for "harmonizing" or "balancing" as Legendre would later say, the discrepancies from the mean found in each measurement. Furthermore, as noted by Stigler (1986), astronomers were wary in combining observations made under differing circumstances, fearing that errors in one observation would "contaminate" errors in other observations, and that the errors would multiply, not somehow compensate each other's influence. What was needed was a method that would account for all observations, and provide a "rule" for controlling the variation (i.e., error) around each one. Legendre is credited with providing a method whose historical record of employment suggests it to be the overwhelmingly most preferred solution to combining observations -- the method of least squares. As Stigler (1986) notes, the method not only casually gained acceptance, but was readily embraced as a solution to the problem of combining observations: "The rapid geographic diffusion of the method and its quick acceptance in these two fields [i.e., astronomy and geodesy], almost to the exclusion of other methods, is a success story that has few parallels in the history of scientific method" (p. 15). What was Legendre's ingenious solution? Legendre suggested to sum the squared deviations around each mean, which would then serve to provide a grand estimate of the error variance around the total number of observations. As Legendre claimed, such a method would effectively "balance the errors" in any given set of equations assuming their number was greater than the number of unknowns. He published the method in 1805 in a paper titled "Nouvelles méthodes pour la détermination des orbites des comètes" with a subtitled section "Sur la méthode des moindres quarrés." Key to the method was the idea that in summing the squared deviations around the mean, one could be sure to have minimized the error as an "aggregate" across the total number of observations. No method up to this time assured such a consistent result, one that would always offer the "best" solution in terms of error reduction and symmetry. As Legendre himself (1805) claimed: By this method, a kind of equilibrium is established among the errors which, since it prevents the extremes from dominating, is appropriate for revealing the state of the system which most nearly approaches the truth." (pp. 72-73) "Approaches the truth" -- a strong claim indeed. But given that his proposed solution was appealing and relatively simple mathematically, the method gained wide appeal and by early nineteenth century, was used regularly in the fields of astronomy, geodesy, and eventually spread "horizontally" (Stigler, 1986) to the social sciences, including psychology. The great success of Legendre's method was to effectively eliminate the fear that errors would multiply when combining observations. Using his simple yet ingenious approach, Legendre showed that indeed predictions could still be made precise even though using data from various observations. The breakthrough was that errors could now be combined, but more importantly, minimized through a method that would enhance prediction, not through multiplying error, but reducing the overall quantity of it. The combining of observations had indeed come of age through the method of least squares. As mentioned at the outset, a goal of this paper is to provide a brief survey of those theorists before Galton who may have discovered correlation in some form or another, or at least foreshadowed Galton's discovery. Among these include Robert Adrain, an American mathematician, who according to Walker (1929) is the first to have studied the probability of the simultaneous occurrence of two independent errors in a position of a point. In 1808, Adrain published two proofs in a paper entitled "Research concerning the probabilities of the errors which happen in making observations." Although by no means inventing correlation, the significance of Adrain's work is in noting that concentric circles exist for two sources of error and at the same time deducing the ellipses that would be formed if the sources of error were not one to one. This observation, as will be seen, describes the basic properties of the normal frequency surface of correlation. Others have also contributed to early correlation theory. For instance, Walker (1929) cites Pierre Simon Laplace (1749-1827) and Giovanni Plana (1781-1864) as both contributing by introducing the "product term" in the equation of correlation, representing the probability of the simultaneous occurrence of two errors. Karl Friedrich Gauss (1777-1855) has also been credited by Walker as contributing to the mathematical development of the theory of correlation. However, as Karl Pearson (1920) has noted, Gauss's work lacked the idea of "organical association," what Pearson called the "fundamental conception of correlation" (p. 13). As will be elaborated on later, it is this concept of "organical association" that appears to be the defining feature differentiating the correlation developed by early mathematical error theorists, and the correlation Galton was to discover. Even so, the geometric interpretation of the correlation of the error theorists and that of Galton were more similar than they were different. To show why this is so, it serves us well to first briefly review the contribution of a figure who is generally credited, of all error theorists, in laying the foundation of mathematical correlation -- Auguste Bravais. Auguste Bravais (1811-1863), professor of astronomy and physics, is probably best known for his work in crystallography (Nelson, 1998). With respect to error theory, he is best known for a paper he wrote in 1846 titled "Analyse mathématique sur les probabilités des erreurs de situation d'un point" [translated: "Mathematical analysis on the probability of errors of a point"]. This work is renowned for being the very first mathematical exposition of the theory of correlation. Pearson (1896), later to recall these remarks, said that it was Bravais who first discussed the fundamental theorems of the correlational calculus. In his famous paper of 1846, Bravais, mathematically, not empirically, found the equation of the normal surface for the frequency of error. Using both analytic and geometric methods, Bravais also essentially found what would eventually be coined "regression line." He did so through investigating how the various elliptical areas of the frequency surface vary given various directly observed quantities. Through this, he found the line of regression, but, in essence, did not realize it, and thus could not "make the leap" (Walker, 1929) necessary to claim the discovery of correlation or regression. The following figure shows geometrically what Bravais found. What is crucial to understand is that Bravais was interested in the areas of the ellipses, and not the actual line "OM." His main thesis, contrary to what one would expect in a pure exposition of correlation, was to show how the errors accompanying the observed quantities were independent, not associated. As Pearson (1920) says of Bravais's work: "He gets the line [i.e., "OM"] which corresponds to Galton's regression-line. But this is not a result of observing x and y and determining their association, but of the fact that x and y are functions of certain independent [italics added] and directly observed quantities" (p. 32). Hence, Bravais, being more concerned in showing how to eliminate this "common error variance" clearly did not envision the idea of correlation. Indeed, as noted by Mackenzie (1981), Bravais had no reason or interest in studying any relation among observed quantities. Astronomers of the time were far more interested in the "disposing" of this common error variance, again largely due to the fear that error would multiply, not compensate, when combining observations. Referring once again to least squares, Porter (1986) explains: There was hidden within the method of least squares a mathematical definition of correlation, which appeared in astronomy as the opposite of independence under the title "entanglement of observations." It was almost impossible in astronomy to avoid entanglement, especially when the astronomer sought to carry out measurements that required data from two or more observatories. In that case, any inaccuracy in knowledge of the relative positions of the observations would reappear in every measurement. (p. 273) Following through on Porter's explanation, this combining of error is exactly what astronomers wanted to avoid. Hence, Bravais, or anyone else working in astronomy or geodesy, had absolutely no interest in combining observations for the purpose of studying their combined error variance -- quite the opposite, they were interested in eliminating this error from observation to observation, in hopes of avoiding the "tragedy" of multiplying and "entangling" the aggregate error produced by combining observations. Hence, it comes as no surprise that Bravais's efforts were to show the "independence" and not the "association" of error variance. Still, from our brief discussion of Bravais, it is plausible why his name is associated with correlation. For one, he was one of the first to study the existence of two or more errors, something that only few (e.g., Gauss, Plana) had done before. Second, he produced the product term for the correlation coefficient, and discovered the mathematical equation for what 30 years later was coined the regression line. Third, he discussed both of these in terms of the normal surface of correlation, and identified the varying shapes of the ellipses that would exist given varying quantities and accompanying error. Thus, in a certain sense, he "touched" on the concept of correlation, but didn't conceptualize it as such. Opposite to this is the argument that he cannot at all be credited with being the inventor of correlation. The most compelling support for this argument lies in the fact that Bravais studied the independence of these observed quantities, and not their linear association. As Walker (1929) explains: "Bravais shows beyond the possibility of misunderstanding that he had no thought of applying his theory to any field except errors in the geometric position of a point. Certainly he was not thinking of the strength of the relation between the variables, nor did he ever single this out for attention" (p. 482). Indeed, even Pearson (1920), in his "Notes on the History of Correlation," issued a correction with regards to his previous crediting of correlation to Bravais: Now I regret to say that nearly the whole of the above statements are hopelessly incorrect. Bravais has no claim, whatever, to supplant Francis Galton as the discoverer of the correlational calculus. For the most part he is simply taking a very special case of the Gaussian analysis [regarding least squares], and nowhere on p. 267 of his memoir can I now find that he has used the expressions for the correlation symbols without their names. Only when I come back to the papers of Bravais . . . do I realise not only that I did grave injustice to others, but made most misleading statements which have been spread broadcast by the text-book writers. (pp. 28-29) Perhaps more prominent than any of these reasons for not crediting Bravais with even partial due in the invention of "Galtonian" correlation, is the idea of "organical association" (Pearson, 1920) which appears to be at the "heart" of Galton's conception. In no way did Bravais ever consider any common relationship that existed between empirical data. His treatment of errors was theoretical, not empirical, and in this lies the dividing line between Bravais's work and Galton's discovery. As Walker (1929) explains, each of these mathematical precursors (i.e., error theorists) to correlation oversaw the practical applications of their work: "Each approached the problem from the point of view of mathematical analysis, but failed to see the practical significance of the formulas they derived. This may have been indeed because their attention was focused too closely upon the theory and not enough directed toward empirical data" (pp. 92-93). Hence, Bravais, among other theorists, appear to have discovered the mathematics of correlation, but lacked the purpose or motive to "see" it. Walker (1929) cites Bravais as a kind of Columbus, discovering correlation without fully realising that he had done so. Although the "reason" for detecting correlation lacked in Bravais' work, and is probably why he did not "see" it, this motive was of course not absent in the work of Francis Galton more than 30 years later. It is to his work that I now turn. Today's idea of "statistical regression" is commonly traced to Galton and his observation that the mean value of an inherited characteristic deviates from the mean of the mid-parent, and "regresses" toward the mean of the population. For example, the offspring of even very tall parents would not equal the height of its parents, but rather would be slightly shorter in stature, regressing toward the mean height of the population. The central idea was that deviations in inherited characteristics could be explained by their regression toward the mean value; that extreme deviations did not produce deviations equally or more extreme, but in general, produced deviations of a lesser degree, regressing back toward the central value, the mean. However, what Galton discovered was even more significant. Through his work on charting heights, he "discovered" the normal correlational surface, that is, the surface representing the frequency of error. Up to this time, the normal surface of correlation was a mathematical theoretical entity, and nothing more. Galton's major achievement was that he made it an "empirical" reality. Before diving into the details of how this was accomplished, a brief summary of Galton's major goals, as they relate to inheritance, is in order. Galton possessed a penchant for observations, some would even say an "obsession." In short, Galton measured everything he could, from wind direction to fingerprints, to what would form the empirical roots of his later discoveries -- physical attributes such as heights and stature. As Stigler (1986) remarks, Galton was greatly influenced by Quetelet in that he almost "rejoiced" in Quetelet's concept of a theoretical law of deviation from an average (i.e., "error theory"). Galton even appears to have foreshadowed, using the concept of the error curve, the basis of modern hypothesis-testing, that of determining whether observed values arise from a single population, or from various populations. As Stigler (1986) notes: Following Quetelet, he [Galton] proposed that the conformity of the data to this characteristic curve was to be a sort of test of the appropriateness of classifying the data together in one group; or rather, the nonappearance of this curve was indicative that the data should not be treated together. (p. 268) Thus, Galton, in line with his eugenic program, sought to do in human nature what in statistical terms amounts to partitioning variance and in so doing, establishing the existence of unique populations. 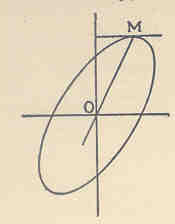 Diagrams such as the "law of deviations from an average" and what is now known as the "ogive" appeared in Galton's works. These all constituted an effort to graphically display the distribution of human physical attributes, with the hope of somehow showing that these attributes are inherited. This "somehow" however, was missing from Galton's equation. Galton, as of yet, had no means to show that characteristics of one population were inherited from characteristics of a previous population. In fact, as Stigler (1986) has noted, the "normalcy" of the law of error actually may have proven to be a stumbling block for Galton: He could recognize the occurrence of the normal curve in his quantitative data, but he could not connect that curve to the transmission of abilities from generation to generation. Indeed, there is a sense in which the classical theory of errors actually impeded his search for a connection. If the normal curve arose in each generation as the aggregate of a large number of factors operating independently, no one of them overriding or even significant importance, what opportunity was there for a single factor, such as a parent, to have a measurable impact? And why did population variability not increase from year to year? At first glance, the beautiful curve Galton had found in Quetelet's work stood as a denial of the possibility of inheritance. (p. 272) The "somehow" missing from Galton's equation, and hence the solution to the above problem, he found in his discovery of regression. In 1885, with data consisting of 928 offspring and their parents, Galton set out to calculate a reversion coefficient. His first task was to produce what he called a "Table of Correlation," represented in Figure 2. Such a table plotted the heights of mid-parents against the heights of offspring. For instance, if a parent was 70 inches in height, and the adult child had a height of 67, a checkmark was placed in the corresponding cell where the two entries formed a 90° angle. These checks were then tallied to produce the numbers in Figure 2. What Galton noticed next, constituted the first step towards discovering how his empirical data related to the frequency law of error. He noticed that identical values (i.e., totals of each cell), if joined by line segments, formed a series of concentric and similar ellipses, of which the centre point of these ellipses was the mean of values on the ordinate and absissa. He further found that at each point where the ellipse was touched by a horizontal tangent, all points lay in a straight line and each line was inclined to the vertical in the ratio of 2/3. Those points where the ellipses were touched by a vertical tangent also lay in a straight line but this time inclined to the horizontal in the ratio of 1/3. Galton, having little advanced mathematical training (Cowan, 1972), but still familiar with elementary probability, hypothesized that these same diagrams should be able to be reproduced by simply knowing the probable error for the parental generation, the probable error for the filial generation, and the average reversion of the filial generation on the parental generation. To test this hypothesis, Galton sent these data to J. D. Hamilton Dickson, a seasoned mathematician, to produce the distribution of error that would result from these data. To Galton's pleasure, Dickson reproduced almost identical diagrams. Cowan (1972) summarizes the significance of this event: Dickson had confirmed, deductively, the conclusions that Galton had reached empirically. Galton was delighted and surprised, surprised because of what Dickson's feat suggested: reversion occurs whenever two populations are compared in a probabilistic manner, whether or not those populations happen to be connected genetically. Reversion might well be a product of heredity, but it also seemed to be a product of statistical manipulation. For Galton, this served as conclusive proof that the processes of heredity are probabilistic (pp. 523-524) With further analysis on various data, Galton confirmed his invention of statistical regression. Thus, he had successfully developed a new statistical technique not through mathematical deduction, but through empirical observation. He used mathematical theory to confirm his empirical observations. Galton then deduced that if both measurements between two variables were standardized (i.e., both having same variance), their two regression lines would have the same slope. He presented this concept as a "co-relation" in his famous 1888 paper "Co-relations and their measurement, chiefly from anthropometric data." Thus, his concept of correlation and regression was rooted not in mathematical theory, but in empirical observation of human characteristics. And, this is precisely where his discovery differed from that of early error theorists, namely Bravais. Bravais, through studying the independence of error around a single point, produced a mathematical calculus of correlation, but not only was he not aware of it, he did not apply it to empirical data. Galton, on the other hand, began with empirical data, and found, through observation, regression and correlation. Only then, did he confirm mathematically what he had observed empirically. In doing so, he discovered that regression not only applied to data on heredity, but was a statistical phenomenon and could be applied to data outside of heredity. Bravais did nothing of the sort. As promised at the outset, answers to questions posed earlier will now be attempted. Do pre-Galtonian conceptions of correlation and regression exist? A clear-cut answer to this question is difficult. As seen, the mathematical tools used in regression and correlation appear to have been developed before Galton. For instance, the method of least squares, developed by Legendre is precisely the tool used in calculating a regression coefficient, and hence deserves some credit in producing today's technique of regression. Furthermore, Bravais (among other error theorists) appears to have laid out the mathematics of correlation, without fully realizing he had done so. In fact, as discussed, showing that a relationship existed among variables was not of interest to the error theorists, and so they had no purpose in looking for the existence of regression and correlation. Galton on the other hand, deliberately sought out to find the mechanism of inheritance, and so discovering regression served as an aid in promoting his theory of inheritance, which further served as a political tool in his program of eugenics. Overall, there are two main distinctions to note regarding Bravais' work and that of Galton. First, as mentioned, their purposes were different from the outset, and this is a plausible reason as to why Galton "saw" the discovery, and Bravais did not. Bravais was not in the least interested in associating two variables, but rather was more interested in showing the independence of errors. The idea of correlation simply did not fit into Bravais' purpose. As Mackenzie (1981) correctly observes: "For him [Bravais] to have done what Galton did -- examine the dependence of x and y in order to know the influence of one on the other -- would have made little sense"(p.??) Hence, one can conclude that since Bravais, or any of the other error theorists had no reason to discover correlation, none of them did. Had they had an interest in showing the dependence of variables, as Galton did, they undoubtedly would have discovered correlation, given that they had already laid down the mathematical theory necessary for such a discovery. As Walker (1929) concludes, "Any one of them might have discovered it. None of them did" (p. 92). A second distinguishing feature between the work of Bravais and Galton is that while Bravais discovered correlation mathematically, Galton discovered it empirically. Bravais deduced the normal surface for correlation through mathematical theory, and not through actual observation of real data as Galton did. It is this element of "organical association" referred to by Pearson (1920) that effectively and decisively distinguishes Bravais's correlation from that of Galton. In short, Galton found empirically what Bravais deduced mathematically. What is perhaps most noteworthy is that Galton had little training in probability or mathematics, and thus could not have made his discoveries by these means. Hence, the only way Galton could have succeeded was through observation of empirical data, and that's the exact path he followed. As Pearson has stated, it is through the displaying of an "organical association" between real variables that Galton achieved his discovery. Once again, Bravais did nothing of the sort. A third and final observation with regards to Bravais's work and that of Galton's is worth noting. Perhaps there is no better example in the history of statistics than the one before us to show that statistical techniques do not simply arise out of mathematical manipulation, but are often preceded by a social-political cause or other equivalent goal. Hence, in this context, the statistical technique is but a "weapon" in the pocket of artillery of the proponent. Since Bravais had no particular reason for finding the technique of correlation, he did not. Conversely, since Galton's program of eugenics and theory of inheritance relied heavily on him finding a "mechanism" of inheritance, he had all the reason and motivation for discovering the technique of regression and correlation, and so he did. Adrain, R. (1808). Research concerning the probabilities of the errors which happen in making observations &c. The Analyst or Mathematical Museum, 1 93-109. Anton, H., & Rorres, C. (2000). Elementary Linear Algebra, 8th Edition. John Wiley & Sons, Inc. New York. Bravais, A. (1846). Analyse mathématique sur les probabilités des erreurs de situation d'un point. Mémoires présentés par divers savants à l'Académie royale des sciences de l'Institut de France, 9, 255-332. Cowan, R. S. (1972). Francis Galton's statistical ideas: the influence of eugenics. Isis, 63, 509-528. Fancher, R. E. (1989). Galton on examinations: an unpublished step in the invention of correlation. Isis, 80, 446-455. Galton, F. (1888). Co-relations and their measurement, chiefly from anthropometric data. Proceedings of the Royal Society, 45, 135-145. Legendre, A. M. (1805). Nouvelles méthodes pour la détermination des orbites des comètes. Paris: Courcier. Mackenzie, D. A. (1981). Statistics in Britain, 1865-1930: the social construction of scientific knowledge. Edinburgh University Press: Edinburgh. Miller, D., & Millar, I. (1996). The Cambridge dictionary of scientists. Cambridge University Press: Cambridge. Nelson, D. (1998). Penguin Dictionary of Mathematics. Penguin Books: New York. Pearson, K. (1896). Mathematical contributions to the theory of evolution, III: regression, heredity and panmixia. Philosophical Transactions of the Royal Society of London (A), 187, 253-318. Pearson, K. (1920). Notes on the history of correlation. Biometrika,13, 25-45. Pearson, E. S. (1978). The history of statistics in the 17th and 18th centuries against the changing background of intellectual, scientific and religious thought: lectures by Karl Pearson given at University College London during the academic sessions 1921-1933. Charles Griffin & Company Limited: London. Porter, T. M. (1986). The rise of statistical thinking: 1820-1900. Princeton University Press: New Jersey. Smith, D. E. (1929). A Source Book in Mathematics. McGraw-Hill: New York. Stigler, S. M. (1986). The history of statistics: the measurement of uncertainty before 1900. The Belknap Press of Harvard University Press: Cambridge. Walker, H. M. (1929). Studies in the history of statistical method. The Williams & Wilkins Company: Baltimore. Gauss has also been credited with inventing the method of least squares. According to Stigler (1986), the issue of priority between Gauss and Legendre in relation to the invention of least squares is comparable to that between Leibnitz and Newton in relation to the invention of the calculus. For details regarding Gauss and least squares, see Pearson (1920). For an English translation of this section, see Smith, D. E. (1959). A source book in mathematics. McGraw-Hill: New York. See Stigler (1986) chapter 8 for these and more Galton diagrams depicting the error curve. Last updated January 11, 2001.